We understand how difficult it can be for patients in knowing who to call in specific situations. It’s easier for us because we are aware of the full range of services available to you and when you should access them. We hope this page helps improve your understanding of who to call and when. 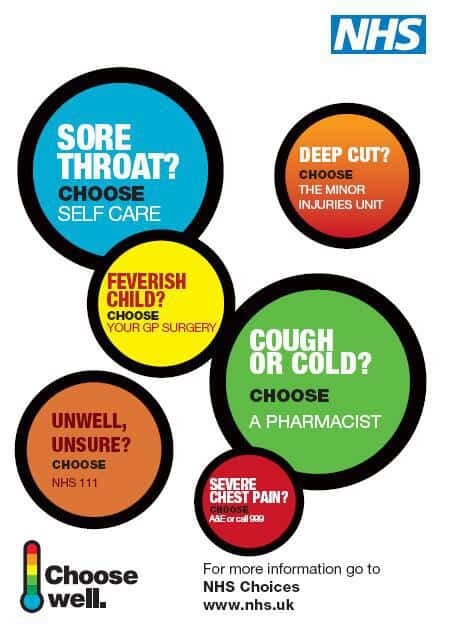 Let’s start with types of things that are considered an emergency and hence a 999 call. Who can you access to get help? Only go if it is an emergency – examples given above. 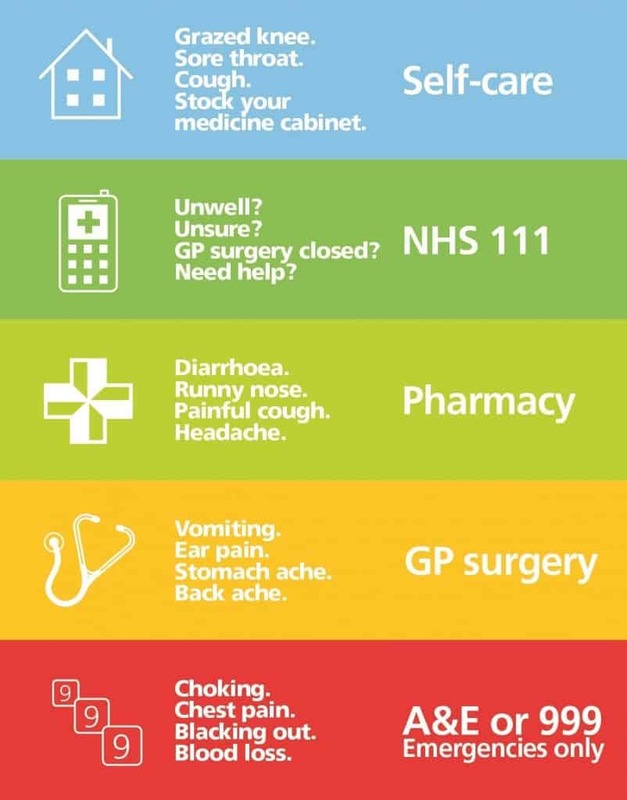 Please remember to use A&E responsibly. Some patients there are seriously ill and we must not clog up the system. Open 24h a day – just ring 111. Even open Bank Holidays and Weekends. If it’s not an emergency and you just want some urgent advice or don’t know whether you should go see someone, try calling 111. If they feel you need to be seen, they will arrange for a doctor to see you locally. 4 Butler Street, BD3 0BS. If it’s not an emergency and you just want some medical advice or want to pop in and see a doctor about something that has recently developed, then try Hillside Bridge. They can deal with cuts, wounds, rashes, sunburn, bites & stings, strains & sprains, stitches/dressings, hayfever, emergency contraception, vomiting and diarrhoea. Your local pharmacist can advise you on all sorts of minor illnesses. So, if you have new cough, headache, earache, skin rash or if your hayfever is playing up – please give them a try rather than seeing your GP. Yes, Ashcroft Surgery has a pharmacy advisor. We suggest you talk to them if you have a medication query. Her name is Saadia Khan. By all means come and see the GP about new things or things that have been going on for a while. However, for minor illnesses like recent onset coughs, colds, earache and so on, please think about other places you can seek help from – for example, the local pharmacist, NHS111, or self-management advice online. Try not to overload your GP unnecessarily. Ashcroft has two Advanced Practitioners. This new type of health professional can do some of the things GPs can do. In general, if you have something of recent onset, come and see one of them. It may be easier getting an appointment to see them than some of the GPs! And they’ll seek a GP’s advice if they feel they need it. District nurses deal with wounds, dressings, taking bloods, giving injections, advising on continence pads and doing assessment on people who fall repeatedly. Case Managers – these ‘community matrons’ help patients who have complex medical problems. If you have a number of medical conditions or even one bad condition like COPD, asthma, heart failure, dementia – and it’s all getting too much for you – call them. Both District Nurses and Case Managers provide care and support for the dying and terminally ill. The Health Trainer at Ashcroft Surgery is a health professional who can help you make lifestyle changes like – helping you to lose weight, get fitter, stop smoking, managing your anxiety, helping you with depression, reducing stress levels and so on. The can also help you if you have low confidence or self-esteem, provide bereavement support for people left behind and deal with social issues like loneliness and housing problems. These 3 wonderful websites can help you manage an existing condition better, self-manage minor illnesses and provide advice on new symptoms. During the weekends or Bank Holidays, if you need to see a doctor urgently, you either Call 111, go to Hillside Bridge (the walk-in centre), ring 999 or go to A&E. The section immediately above should help you decide where. What sorts of things can a pharmacist advise on? Some also provide clinics and can help you with things like – stopping smoking, sexual health advice, diabetes and blood pressure monitoring. 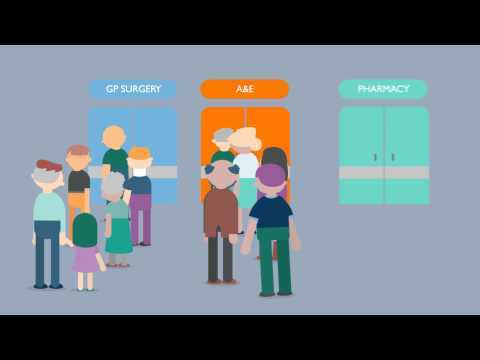 What sorts of urgent things can a GP deal with? This list isn’t exhaustive, but gives you an idea of what a GP can do. How can I help myself with minor illnesses? First of all, make sure you have a well-stocked, locked medicines box at home. Useful medicines include paracetamol and ibuprofen for pain, fever and headaches, antihistamines for allergies and hayfever and indigestion remedy for heartburn and trapped wind. Ask your pharmacist about which medicines to keep at home. And look at these websites for more information about your symptoms and how to settle them.